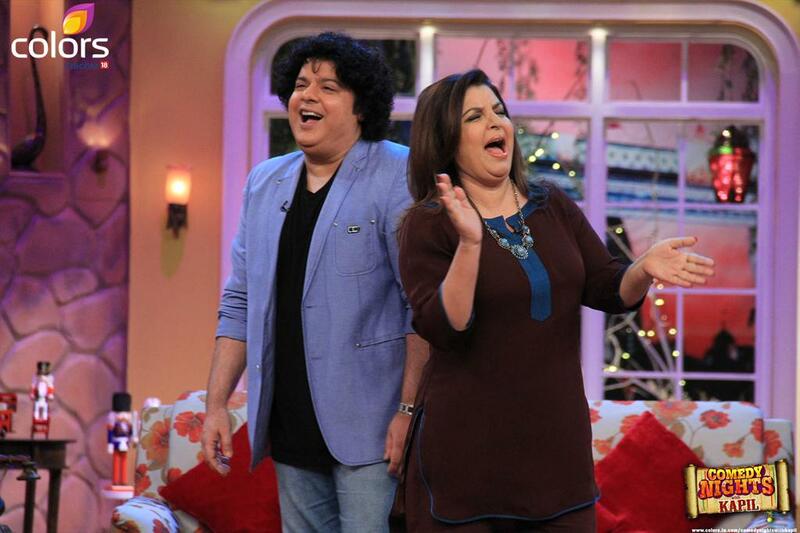 Guest on the show: Brother-Sister Duo and Directors: Sajid Khan and Farah Khan. Farah came for the promotion of her show – Farah Ki Daawat on Colors TV. Guests on the Show: : Actors and Stars: Saif Ali Khan; Riteish Deshmukh; Ram Kapoor; Esha Gupta; Tamannaah Bhatia, and the director Sajid Khan – the team of Humshakals movie. Kapil welcomes all, and the actors and the director who were lying on the sofas and Siddhu asks them to wake up and cites the example of Kumkaran (who used to wake up after every six months). Kapil again welcomes Saif, Riteish, Ram and Sajid. Kapil then speaks that whenever Siddhu sir’s energy is down thats because of not seeing heroines on stage. Sajid then invites his film’s heroines Tamannah Bhatia and Esha Gupta. Both actresses come on stage (Aaja Aaja song playing in background). Kapil hugs them and wants them to take their seats though all the boys have occupied the seat and they tease the girls and doesn’t allow them to sit on the sofas. The boys asked the girls to sit on the seat of Siddhu who in turn offers them his seat bringing laughter on their smiles. Guests on the Show: : Actors and Stars: Saif Ali Khan; Riteish Deshmukh; Ram Kapoor – the team of Humshakals movie. 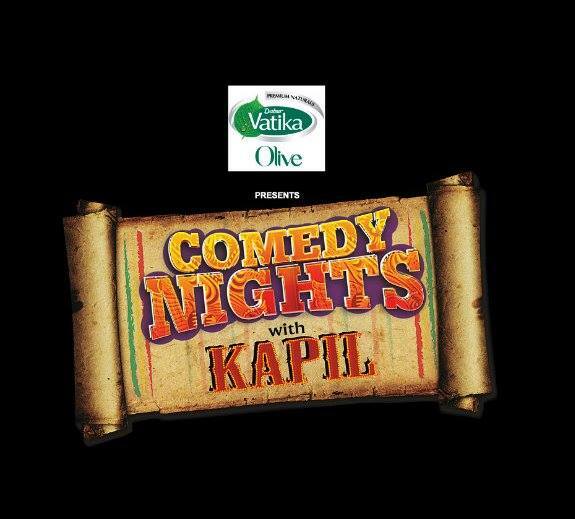 Kapil starts the show and informs Siddhu that today’s guest is the one who has started from television, and now a famous movie director and calls Sajid Khan – referring to him as the funny man and the director of the movie Humshakals. Sajid Khan comes on the stage on the song (Tujhe Apna Bane Le Caller Tune.. from his movie) and dances with Kapil. Kapil speaks with Siddhu that there are both advantages and disadvantages to have similar looking person. He then cites a funny note, the benefit that you can take money from somebody by acting like him, and on the downturn, he can do the same with you invoking a laughter.